We have returned for the 20th Annual FIRST Robotics Competition Orlando Regional. There are 64 teams competing, including one from the Netherlands, and three rookie teams. 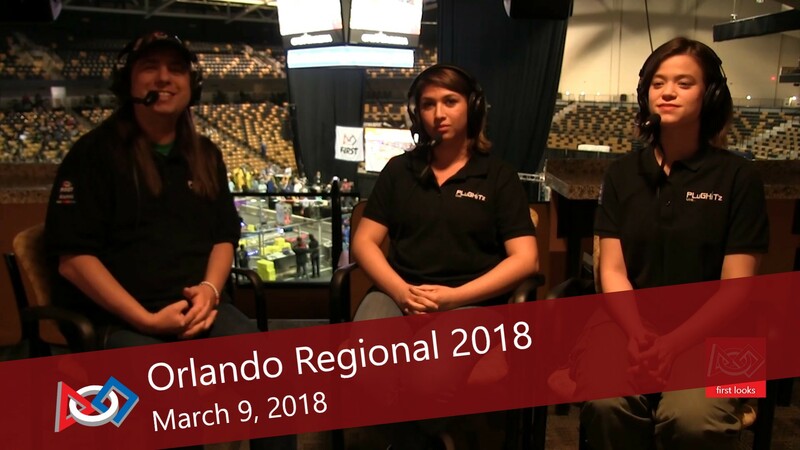 We speak with representatives from several of the teams, including some of the longest-running teams in Florida, as well as rookie teams. In addition, we speak with the team from the Netherlands about their incredibly unique experience. Whether you're programming a robot, playing a game or doing homework, the Microsoft Surface is the tablet that can replace your laptop. Get yours at the Microsoft Store. Daniele is a student at Florida Polytechnic University who is studying Computer Science with a concentration in Cyber Security. In High School, she was introduced to the science and technology world through the Foundation for Inspiration and Recognition of Science and Technology (FIRST), a robotics foundation where students of varying ages can compete through tasks that their robots perform. With help from mentors she met through FIRST, she became interested in programming and developing. Today, Daniele is a special events host for F5 Live: Refreshing Technology and PLuGHiTz Live Special Events and a co-host for both The New Product Launchpad and FIRST Looks.